Google AdWords is by far the most popular search engine marketing solution in the world. Its relative ease of use, low cost and intuitive reach all make it very popular among businesses, and that is before considering that Google arguably has access to the largest audience in the world. Countless businesses and brands take advantage of this platform every single day, but many are committing some pretty egregious errors when it comes to their PPC campaigns. We’ll review a few of those mistakes today so that you can avoid making these mistakes in the future. All too many businesses and brands make the mistake of using generic keywords when building their PPC AdWords campaigns. Why is this a bad idea? Mainly, it’s due to the amount of competition. In many cases, generic keywords are going to be both more expensive and feature more competition. This can make it more difficult to stand out in such a crowded niche and will likely result in lost revenue, as bigger and more recognized entities can more effectively compete here. You are just as likely to make as many impressions in more isolated niches with targeted keywords – if not more – than you would via the use of generic keywords, and you’ll save loads on your ad budget as well. PPC campaigns that are pinging your website should utilize as many pages as possible in your PPC campaigns as landing pages. Whether you wish to design multiple landing pages or use a variety of pre-existing product pages to attract consumers, it is important that you do not continuously link to the same page (usually the home page) over and over again. Depending on the structure of the particular ad in question, linking to the most relevant page – the one where potential visitors will find information most relevant to the ad structure – will help reduce the amount of waste in your budget, decrease your bounce rates and help deliver a more efficient PPC campaign on balance. We all have a landing page or two that may not be perfectly optimized for what we’re trying to do. Sometimes, laziness kicks in: we think to ourselves, “well, this page mostly fits the criteria, and I don’t feel like making a new one”. This is a bad move. Your landing pages should be custom-tailored to fit the profile of both the ad and the targeted audience. Even if it seems mostly applicable, using a landing page not designed around the ad in question can dramatically reduce engagement rates and lower overall conversion rates. Be sure that when you’re pinging your website via ads, you’re using perfectly relevant landing pages in the process. 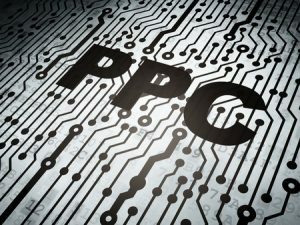 All too many brands and businesses using AdWords make a litany of mistakes when developing and promoting their PPC campaigns. If you can avoid the use of incomplete or irrelevant landing pages, avoid linking to the same page via every ad and avoid using keywords that are too generic, you can inject new life into an otherwise inefficient ad campaign. « How Can Blogging Bring You More Business?